Let’s say you have a great idea, you’ve churned it over in your mind and have done your research. One problem: How do you navigate the start-up world? How do you manage the technical and professional aspects of your project? For example, even on the more practical end, how would you raise money or hire a team? Do you even have an office space? For outsiders looking in, such tasks seem daunting to say the least. In this case, who wouldn’t need some hand-holding? And even if you are fairly knowledgeable, why not find ways to improve your project and streamline its implementation? Spectory is one company that’s eager to extend a hand. 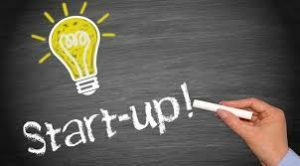 It helps up-and-coming entrepreneurs develop ideas and get the support to maintain their start-ups. The company employs diverse specialists from tech backgrounds who can take your vision and bring it to life, while guiding you down what can be a tortuous path. Furthermore, Spectory is elastic with the budget, assembling its team of specialists according to an entrepreneurs financial situation and particular needs. Based on the views of many customers (Project Pals is one featured in this issue), Spectory has built a solid reputation as a reliable and expert mentor.